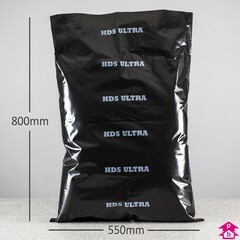 Black 400 gauge ULTRA PolyMax bags. 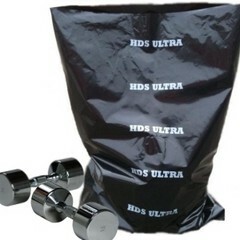 These builders sacks are probably the strongest bags available online and are suitable for the very toughest of jobs. We're very proud of them which is why they're affectionately referred to by the Polybags MD as the 'Big Daddies' of the bag world! Meets EU directive 2002/72/EC specifications for food contact.